0th anniversary t-shirt, which features the site's classic bookmark logo and distinctive style. The shirt, offered through our friends at the Cotton Bureau, comes in three styles: Vintage Black Tri-Blend, Black 100% Cotton, and Light Blue 100% Cotton in both men's and women's cuts and a wide selection of sizes for $ 30. The second item is the MacStories 10th Anniversary Enamel Stick. 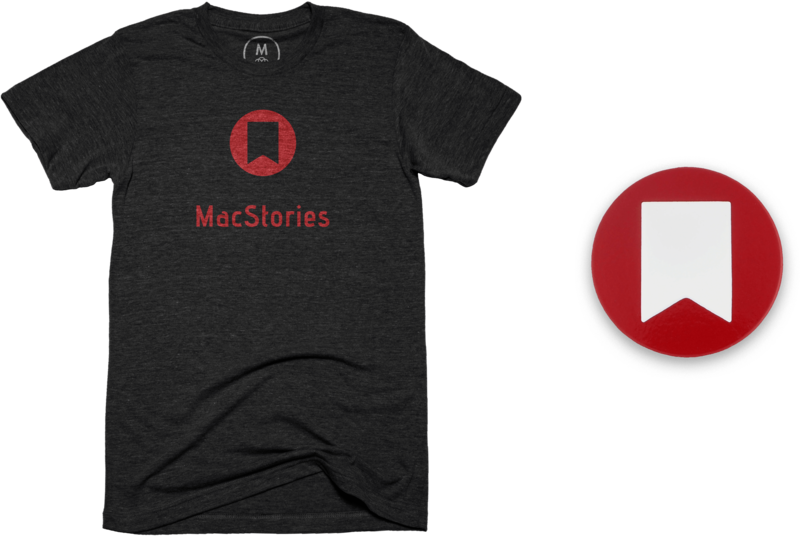 Pinnaps have MacStories' iconic bookmark logo in the perfect shade of MacStories red for $ 15. The shirts will be available for ordering for two weeks and the pins will be for sale until supplies run out, so don't wait. Two weeks are not long and we expect the pins to sell out quickly. If you have questions about shipping, orders, payments and the like, please visit the Cotton Bureau's FAQ for more information. We would like to expand what we offer in the future, but it is entirely dependent on demand and interest from you. So tell us what you think of Twitter ( @MacStoriesNet ) and send us pictures of the new MacStories pins and pins in nature when they arrive. We are happy to get them in your hands soon. Club MacStories offers exclusive access to additional MacStories content delivered each week; It is also a way of supporting us directly. Starting at $ 5 / month, with an annual option available. Access for occasional lookups, discounts and free downloads.